Invest Openly: Do you think your life will change drastically after Financial Independence? 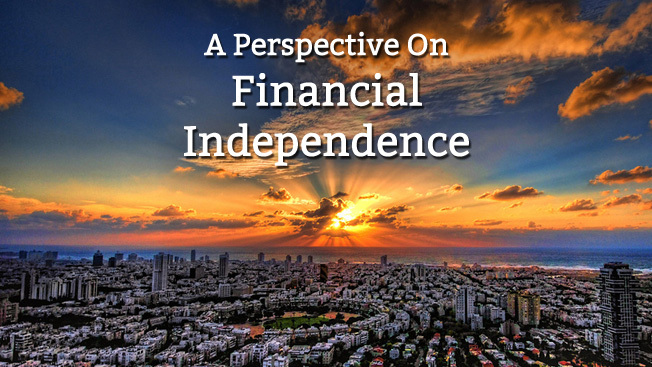 Do you think your life will change drastically after Financial Independence? 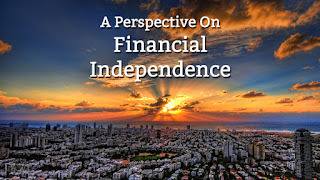 Without a doubt, Financial Independence (FI) is like the Holy Grail for most, if not all investors. The question is : Even if you've amassed a size-able fortune and has officially attained the FI status (basing on your own definition or the $x in your mission statement), so what? Do you think your life will change drastically after that? Would you become more spendthrift because you are more than comfortable to? Would you enjoying or appreciating life more? Would you be more generous because you are able to? In fact, my ultimate question to this question is : If you have something in mind to do or act, there is no need to wait till FI! Do remember that we can only live at PRESENT! For example, many view that they are spending less time with their loved one because they have spent too much time at work and once they are FI, they will quit and be able to spend more time with them. Yes, the intention is a good one but would it really happens that way? 100% sure? Nobody can say for sure as you might be occupied by other stuff when you are FI. So, why can't you make some adjustment NOW to spend more time with your loved one? Why need to wait till FI? Your work life will likely to change as you are now holding FU$ or No Thanks$. No more YES SIR. YES SIR! Not much change except you will feel more confidence. Like what CW said, people will look at you differently once they realise you are FF-No more dare to jaundice eyed you. But most of my relatives still wondering how my family survive as we live quite frugally. That's my family's preference since day one. Temperament : thanks for sharing your personal experience and enjoy your FI too... Cheers! It's better to have a sense of mission for your work, and like what you do, get excited by the challenge, achievement and recognition with doing work that you are proud of. Enjoy the journey. After all, most rich people I know continue to work into their old age, most work almost until they drop dead, which is admirable. They become rich because their like what they do and become good at it. I don't think they dream about Financial Independence. Maybe it is financial independence or a safety net that allows them to take risk and find things that excite them? For example, Grab Taxi founder is from Tan Chong Motor's family. I have friends who needed a job to support family; they take the first job that is available. Of course you can grow to like your job, but the fact is more than 50% of people are not happy with their jobs. Like financial independence, job satisfaction is also elusive. When there is period of good time, it is also temporal. Rich people can control their destiny. At least they don't face the axe during a downturn or have plenty of support if they are unemployed. Maybe why people want financial independence is because many jobs here are dull. There is a struggle between finding interesting work and earning money. Another way to look at financial independence is that it gives you choices in life. And maybe one of those choices is where it invigorates you every day. In short, it does not matter whether you find meaning in your work or strive for have financial independence first; they might be the opposing ends of the same road to a meaningful life. Siak Lim : thanks for the valuable input! Mission in life is indeed utmost important, regardless of our stage of life. Tong : Appreciate your input. Totally agreed with you that FI is having its fair share of ups.. I dun think we will change a lot after FI, but maybe we can accelerate the things which we really wanted to do! Provided we already know what we really want to do before achieving FI. The biggest worry about chasing FI is we do not even understand ourself n what we really want, but only subconsciously keep thinking about FI. Chasing what we want/love to do is priority one. Chasing FI is to accelerate the former. Many people thought it is the same, but it is different. Hi Rolf, totally agreed with your view. It is important to find out that one or two PURPOSE(s) of our life first even before we talk about FI. Dear Bigcatblue, thanks for sharing your thoughts! I'm also in pursuit of financial independence, just that I'm even more interested to be doing what I find meaning and like to do, before I become financially independence. You don't have to wait till FI to have the choice! Another thing about job is that it is sadly almost always unsatisfying... It is always easier to have a mission in your work when you are running your own business. But we have too few risk takers in our society. Personally, I don't think having a mission is that important. If you find it, that is great. If not, as long as you are happy, it is enough. The ultimate luxury in life is to do nothing. Why? Becuase I can. Bigcatblue : Totally agreed with you that happiness is the utmost important thing in life... Cheers!